Only a few years ago, it was easy to obtain business capital. Marketplaces everywhere were expanding, and banks were eager to lend money. With capital so cheap and business so strong, the risk inherent to banking became a distant thought. But what goes up must come down. When the storm hit, banks became more cautious. Larger banks abandoned customers and chased after more profitable industries. Entire industry sectors were left for dead. Bryan Bransky, co-owner of Barrington Motor Sales, 1201 W. Lake St., U.S. 20, Bartlett, was abandoned by his big bank as the economy collapsed. Never mind that Bransky’s family had banked at this location since his late father, Ron, started the business in 1966. Loyalty didn’t matter to the Very Big Bank in 2008. Bransky and his brother, Sean, moved their business account to Barrington Bank & Trust, 201 S. Hough St., Barrington. Right away, the commercial banking team helped the brothers to retool their business strategy. Today, the brothers still meet weekly with their bankers. It’s a commitment Bryan could only dream of sharing with his previous bank. The Branskys weren’t alone. During the recession, overall commercial and industrial (C&I) loans dropped 16.5 percent between 2008 and 2009, according to data from the U.S. Federal Reserve. In the first quarter of 2010, C&I loans dropped nearly 20 percent. In the midst of financial crisis, some loans became too risky. Fewer were repayed, as the default rate rose from 1.15 percent in 2007, to as high as 5 percent in 2009. In the first quarter of 2011, the C&I default rate was nearly double pre-recession levels. A volatile business climate truly tests the business-banking relationship. In the natural ebb and flow of the business cycle, community bankers continue to invest in their local customers, providing not only capital management, but also critical services for business growth. As a small community bank, Algonquin Bank serves a variety of locally-owned businesses, from retail and manufacturing to transportation, recycling and home repair. The community banker’s first step is to understand a business. That means researching the particular organization and knowing about relevant business models, revenue sources, competition and the overall health of an industry. From there, the relationship requires constant communication. Bankers and their customers meet routinely to strategize. They analyze the business in the present and consider future goals. Take, for example, Ward’s flooring-installation customer, who started out needing a line of credit for supply and inventory. As the business grew, so did Ward’s relationship with the owner. Steve Slack, president of Home State Bank, 40 Grant St., Crystal Lake, takes a similar approach with his customers. He finds that all banks provide the same basic products – cash management, lines of credit, letters of credit – but it’s the local connection that makes the difference. At most community banks, decisions are made in-house, rather than at the discretion of a corporate office. Most staff members, Slack included, have spent a lifetime in the community. Their connections naturally run deep. In some cases, it’s about more than personal connections. For example, although Home State serves a wide variety of industries, it also provides product bundles geared toward farmers and commercial leasers. Through these programs, customers obtain special financing options for expensive equipment and large down payments. Barrington Bank, too, has areas of specialization. The commercial banking staff has unique expertise in capital management and business practices for condo associations, homeowners groups and property management companies. Khout Khamdaraphone, a welder at Illinois Blower, Cary, stands beside one of the large industrial fans produced locally for clients around the world. The company owns a second plant in China. No matter a customer’s needs, Stickney and his staff remain flexible. Because Barrington Bank is locally-owned and operated, it doesn’t pigeonhole its customers into neat bundles. 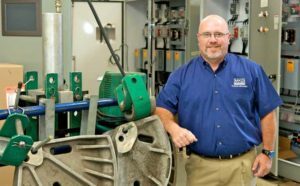 Tyler Barth and his team sell industrial fans worldwide, and he is sometimes amazed at his bank’s flexibility with international banking. 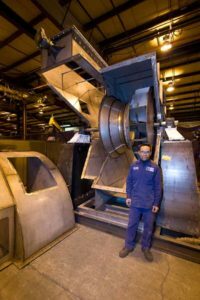 His company, Illinois Blower, Inc., 750 Industrial Dr., Cary, manufactures large industrial fans for clients who have lots of dirty air, especially in the power generation, refining, petrochemical and pollution control industries. There are 50 employees at his Cary facility and another 30 at a Chinese factory. Barth appreciates that his bank supports international commerce. While he also works with a bank in Hong Kong, he enjoys the local bank’s flexibility when it comes to global growth. The objective of any business is to grow. When a company expands, cash is an important part of the equation. “As it grows, a business needs to buy more inventory, you need to carry more in your accounts receivable and purchase equipment,” says Scott Reining, market president for THE National Bank, 3151 U.S. Hwy 20, Elgin. Many of Reining’s customers are manufacturers, who rely heavily upon importing and exporting. These require ample capital for expensive equipment and commodities. When times are good, Reining recommends that customers build a cushion of equity, to create a backup of cash reserves and strengthen their balance sheet. Sooner or later, he says, business conditions will change. Equity provides protection and growth. Chris Woelffer, president of STC Capital Bank, 460 S. 1st St., St. Charles, likens a responsible cash management strategy to that of a homeowner. STC Capital encourages customers to manage capital wisely. As cash management chief for STC Capital, Jodi Ariss constantly monitors how her customers manage their deposits and withdrawals. She advises them on making the most of their cash, through federally-insured accounts, interest-earning sweep accounts or debt paydown, to reduce future expenses. As the manufacturing business is picking up, Mark Wesa’s company, MKD Electric, 1515 Commerce Dr., Elgin, grows, too. As an industrial electrical contractor, Wesa focuses almost solely on manufacturing clients, something his big bank didn’t always understand. Since the company started working with STC Capital, new check-depositing services and sweep accounts have helped Wesa to manage his cash flow and streamline his finances. The bank provides advice and financial guidance, especially as MKD Electric expands its operations. Looking for a bigger facility, Wesa sought advice on whether to rent new property, buy a new office or expand its current space. It’s not unusual for community bankers to know the latest buzz. They’re in daily contact with a variety of local businesses. As they see it, the economic seas still are choppy. Some industries are experiencing the best year in a long time, while others are still struggling for survival. Business is improving, slowly but steadily. For Reining’s customers, 2009 was filled with bad news. The past two years have brought slow yet steady growth. During this recession, weaker competitors were weeded out while companies cut costs and redesigned their business strategies. Today, those financial adjustments and a rising export market are paying off. While manufacturers are coming back strong, Slack is noticing a resurgence in auto sales, as well. Part of this recent growth, he speculates, is related to pent-up demand. Ward notices that automotive and trucking-related firms are growing. He hears from his customers that harder-hit segments – namely real estate and construction – may soon resume growth, as well. Ward and his colleagues suggest that real estate won’t grow until foreclosed properties are sold and demand returns for new homes and business spaces. As some companies resume growth, and others anticipate it, Ward finds that his customers, in general, are becoming smarter and better focused. Owners are spending longer days on the job, sewing up loose ends and scrutinizing their finances. Bransky of Barrington Motor Sales has re-focused his business. 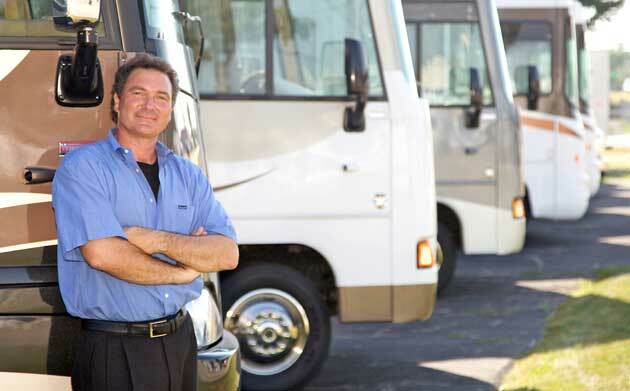 Before the recession, he primarily sold high-end motor homes. When sales dried up, he reconsidered his business model. As Bransky worked with his new bank, he learned to scrutinize everything. He often mulled over his discussions at the bank. Today, sales are improving. Branksy still sells high-end RVs, but he also offers simpler models that are easier to finance. He still sees his bankers every week. When a customer’s business shrinks, Stickney has a number of tools at his disposal. He navigates customers through tough decisions, such as reducing workforce, selling extra inventory and protracting important purchases. As a certified lender for the U.S. Small Business Administration, Stickney also connects customers with government-backed loans. During a recession, weaker competitors are weeded out. In a sort of survival-of-the-fittest, the stronger businesses adapt to changing conditions. Brian Monson, vice president of commercial lending at STC Capital, pays close attention to cash reserves when a customer downsizes. Properly investing one’s cash helps a business to survive a downturn and resume growth. It’s been nearly two years since the recession officially ended, but this time around, growth is slow. Monson blames widespread volatility in the economy; fluctuations in commodity prices and fuel costs are just the start. When future patterns are uncertain, businesses are lukewarm to large capital investments. When the recession bottomed out in June 2009, it ended the longest recession since the Great Depression, according to the National Bureau of Economic Research. 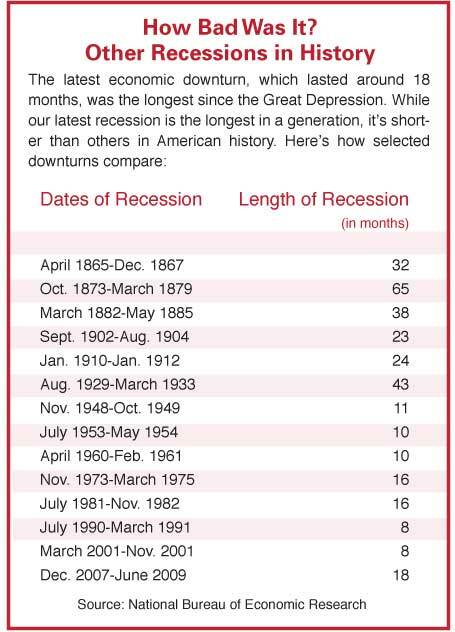 At 18 months, this recession was the longest in most bankers’ careers – perhaps even in their lives. Today’s economy is a totally different game. Long familiar with easy credit, rising real estate and quick downturns, bankers today are forced to develop innovative solutions for their customers. Sometimes, though, they play an uncomfortable role as the big, bad wolf. Reining finds himself in the same situation. In 34 years of banking, mostly in the Elgin area, this is the most challenging business climate he’s seen. He, too, is finding creative solutions to help customers, but growth is slow; government regulations and high unemployment remain nagging dilemmas. One way or another, this will be a slow recovery, he says. However, there is a bright spot: Bankers have become more skilled at helping clients to succeed. In general, bankers say they’re playing it safer now, and they believe real estate isn’t always a rising prospect. They still take risks, but those risks are more calculated than before. They’re sticking with the basics of good business. But then again, community banks always have stood by their values and their customers. When larger banks drop customers such as Bransky, community banks save the day – and their local communities. These banks still have money to lend, and they’re ready to invest it close to home. Bransky is standing by Barrington Bank. He routinely connects customers to financing deals through the bank. Stickney returns the favor, firing business back at Bransky. It’s a mutual back-scratching. This entry was posted on Wednesday, August 31st, 2011 at 12:00 pm	and is filed under Northwest Business Magazine, Top Posts. You can follow any responses to this entry through the RSS 2.0 feed. Both comments and pings are currently closed.